Larger model in popular Woodcreek features Professional Landscape design front & back with sprinklers, Split bedroom plan Master & Study down, Media + 3 bedrooms up, Media & Study are sound-proofed. Engineered hardwoods in main living-dining areas. Kitchen features granite, large island, bkfst bar & stainless appliances. Check out the Master closet with custom built-ins! Entertain under the oversized covered patio with pull-down screen. 10x10 workshop with electric in garage. 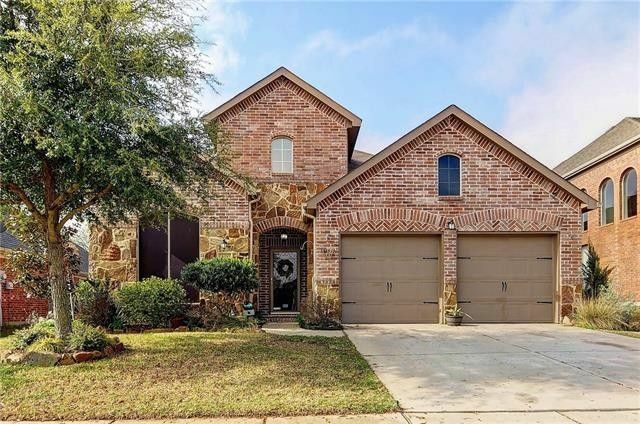 Ideal location for families--Rockwall ISD, elementary school in neighborhood! Awesome Amenities include: clubhouse, pool, splash park, playgrounds, new dog park, fishing pond & more! Home is eligible for 0 down USDA financing. Directions: I-30: Exit FM 551 North, Lt on Fate Main, Lt on Hampton.